Don’t miss out on some of the best day trips from Berlin! 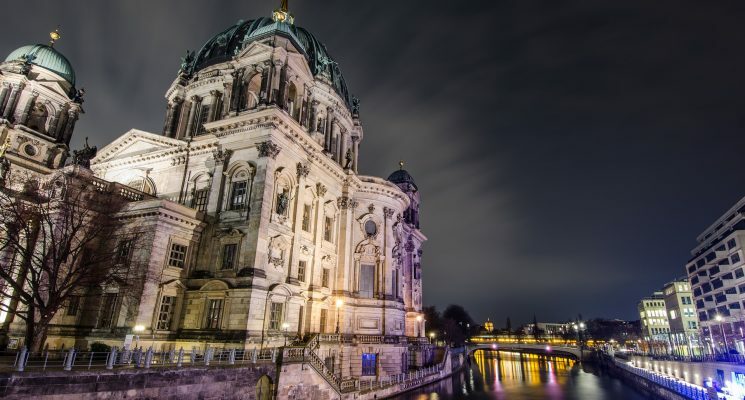 Berlin is a fascinating city, and to say that there is plenty to see, do, eat, and experience in Germany’s capital would be a bit of an understatement. 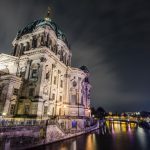 However, it would be a shame to travel to Berlin and not see any of the incredible sites that are within pretty easy striking distance of the city proper. Historic cities, national parks, UNESCO world heritage sites, and picturesque islands that you can visit within the span of one day all await exploration. There are countless of day trips from Berlin waiting for you! We’ve consulted several of our fellow travel experts, asked them what their favorite day trips from Berlin are, and put together this list. There is something for everyone here, so have a look and start planning your adventure! 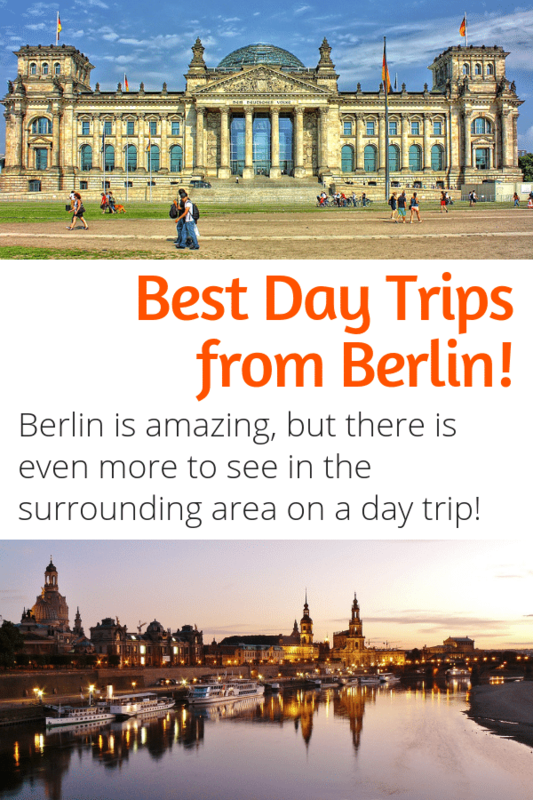 Here are some of the best day trip from Berlin according to the experts! First: If you’re looking for accommodation options in Berlin, we’ve got your covered. 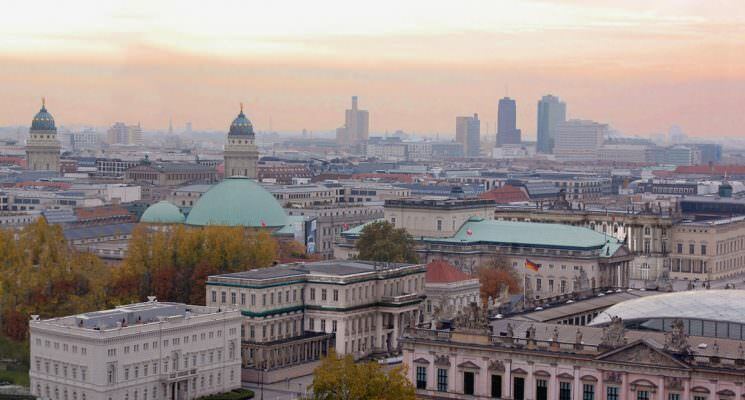 Here are our guides to the best boutique hotels in Berlin and the best hostels in Berlin. Additionally, while many of the below destinations can be reached by public transportation but if you’re looking to rent a car in Germany click here for prices and options. 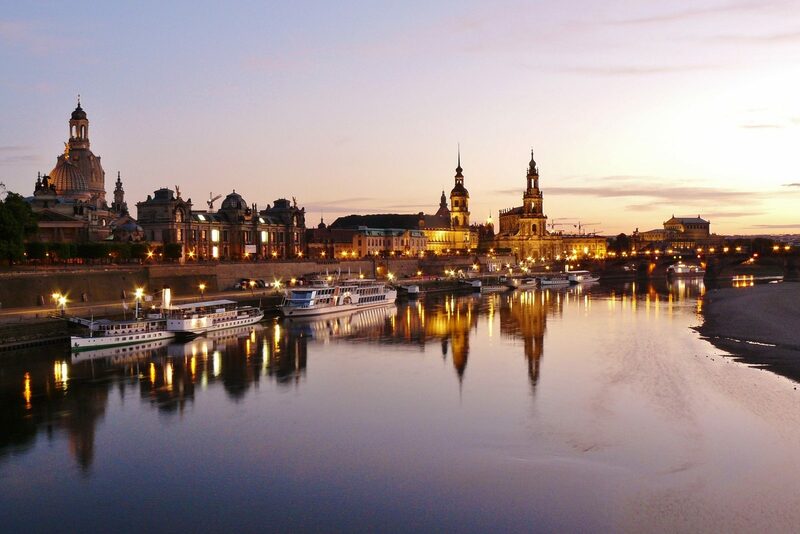 Dresden makes an awesome day trip from Berlin! The city is only about two hours by train from the German capital, located halfway between Berlin and Prague, and it’s quite small and easy to navigate, meaning that even with just one day you’ll be able to see quite a bit. The Elbe river divides the city – on one side there’s the Altstadt (or Old City) and on the other there’s the Neustadt (New City) – but guess what, the Altstadt is actually newer! Dresden was bombed to the ground at the end of WW2 (make sure you read Slaughterhouse Five before you visit, if you’re into history) and the Altstadt area was rebuilt exactly as it was before the war, but some of the buildings were only completed after 2000. 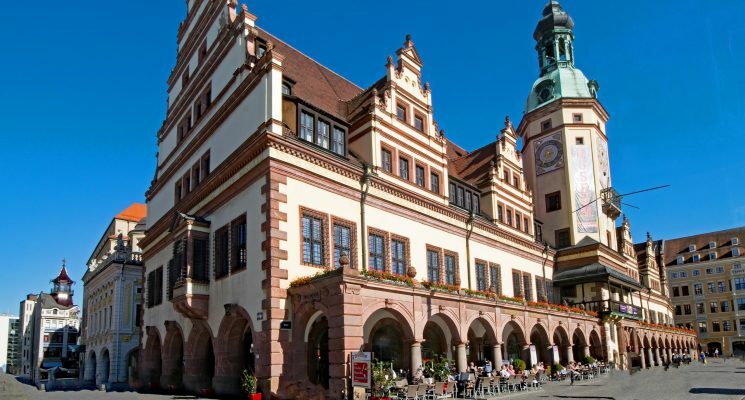 Neustadt is the place to head to for street art and independent shops, and there are also some great nightlife haunts if you decide to spend the night. 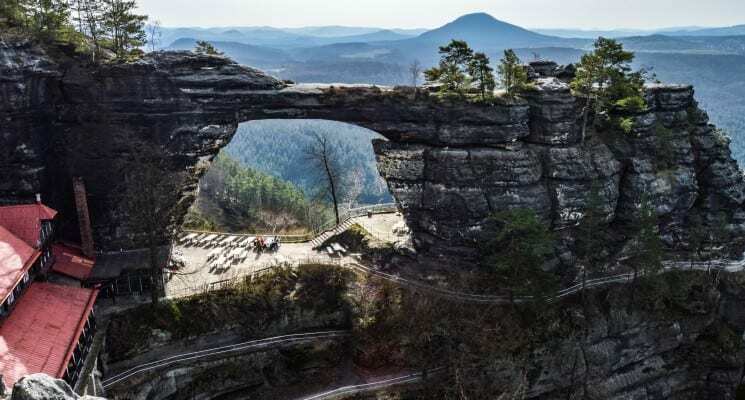 One of the best things to do in Dresden in summer is heading to nearby Saxon Switzerland, a lovely mountainous area with limestone rocks and lots of hiking opportunities. The Bastei Bridge is located about a 2.5 hour drive south of Berlin. It can be combined with a trip to Dresden as well. The bridge, which is extremely famous and a huge destination for German tourists is much lesser known to the rest of the world. Located in the Saxon Switzerland National Park, adjacent to the scenic Elbe River, the park is known for its natural beauty, hiking trails, and the limestone pillars that make the landscape something special. The bridge offers you a unique view of the Elbe valley, and as you stand on it are looking across and down at many of the incredible stone pillars. 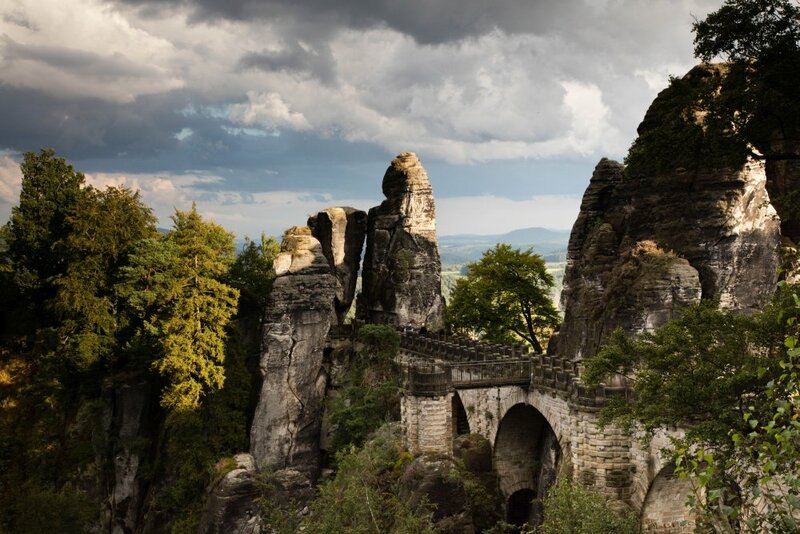 If getting out of the city and experiencing some beautiful nature is on your list, a visit to Bastei Bridge is a must. 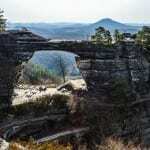 Rakotzbrücke (aka Devil’s Bridge) is arguably the most picturesque bridges in all of Germany. Located in the Azalea and Rhododendron Park about 100 miles southeast of Berlin, the best way to get there is to rent a car for the 2-hour each-way commute. There are no convenient buses or trains to the area as there are no major cities nearby. 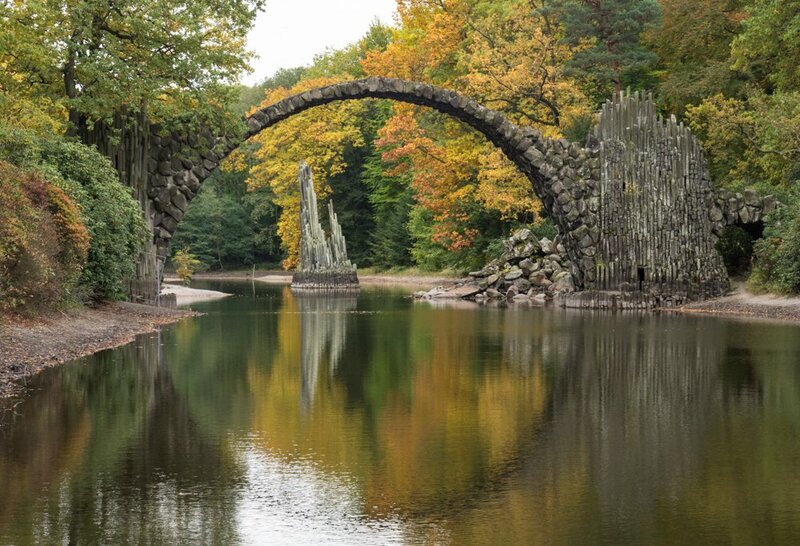 Commissioned in 1860 by the Knight of Kromlau, the Devil’s Bridge is a perfect half circle that, combined with the Rakotzsee Lake below, creates the optical illusion of a full and perfect stone circle. When the water is still, the circular optical illusion remains the same regardless of your observation point so you can wander around the park and enjoy the view from a variety of vantage points. The bridge is just a short, 10 minute walk from the parking lot on the side of road. You’ll pay €3.00 to park for the first two hours then €1.00 for each additional hour and entrance to the park is free. The bridge is accessible 24 hours/day, seven days/week so get there for sunrise or stay until sunset to get the most spectacular views of this architectural masterpiece! Nestled in the Baltic Sea, the small German island Usedom is a true gem. It is famous as being the island with plenty hours of sunshine and with villages that are so remote, you feel like they are stuck in time. It is, thus, the perfect place to spend a day away from the hustle and the bustle of Berlin. It takes around 2.5 hours to get from Berlin to Usedom. 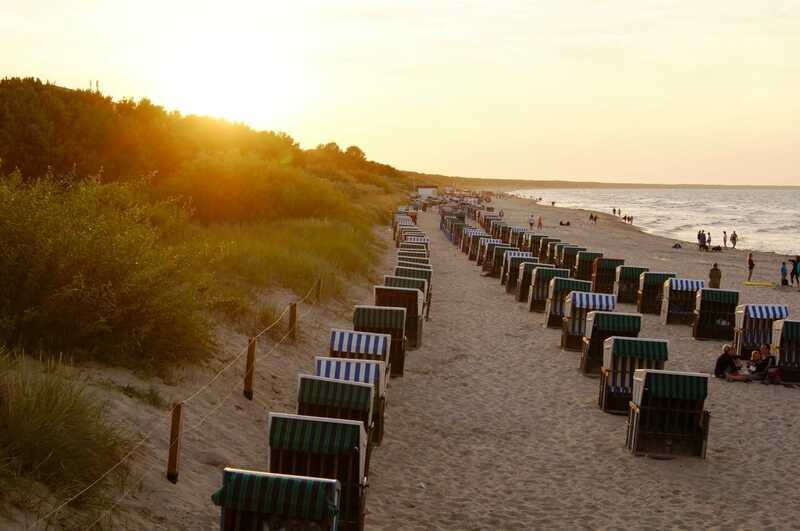 Whether you stay in one of the popular three imperial seaside resorts, Heringsdorf, Ahlbeck or Bansin, or whether you simply chill at the beach of Zinnowitz, Trassenheide or Zempin – a day in Usedom feels like a properly relaxing and enchanting 7-day-holiday. Don’t forget to enjoy a typical fish bun, that are freshly made and so yummy, you’ll never forget it. Also, how about renting a bike and exploring the forests? 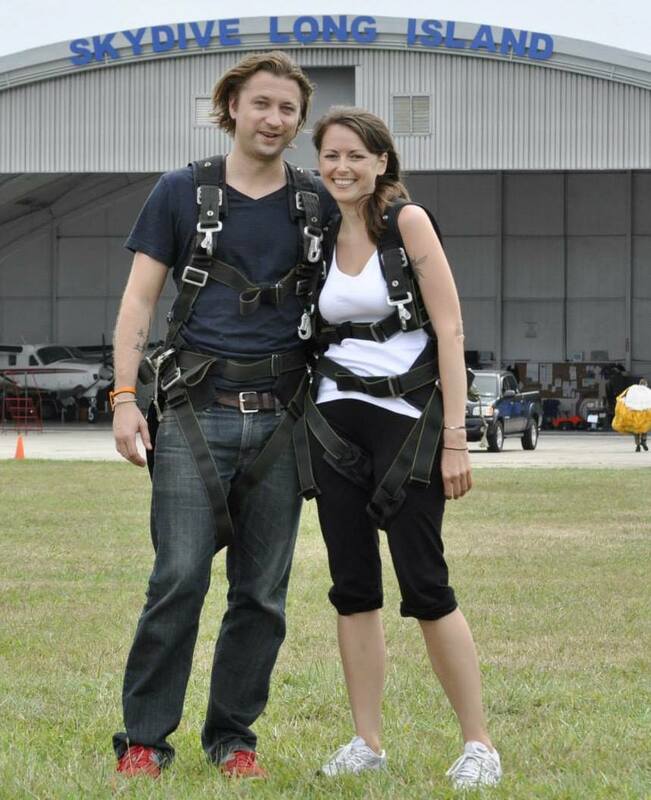 Usedom is an island, yes, but it is also full of adventures that happen away from the beach. Leipzig Germany is often referred to as Berlin’s little sister. It’s a vibrant city packed full of culture, history, culinary delights, interesting night life, and a lively art scene. 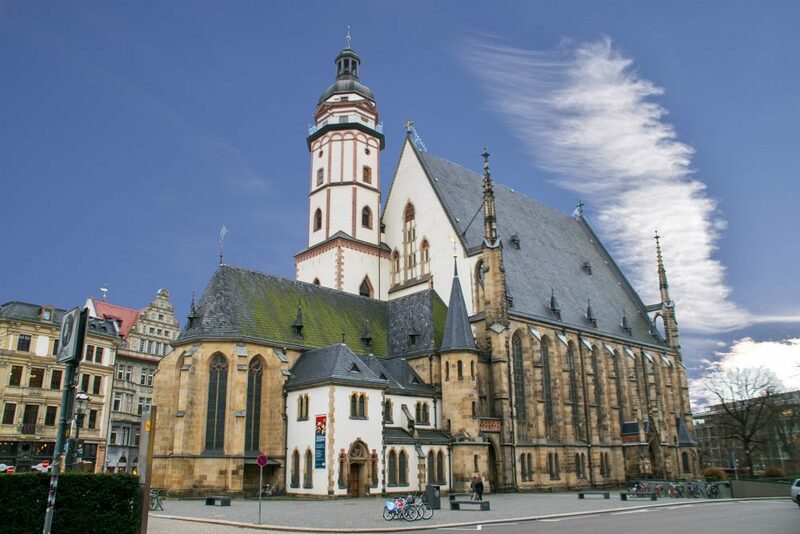 In addition to historic gothic churches, impressive museums, and fantastic bars and clubs, Leipzig is also an excellent option for vegan travelers. The vegan culinary scene in Leipzig is fantastic and offers hungry visitors loads of options including vegan currywurst, vegan sushi, vegan pizza, and even vegan brunch. Leipzig is just over an hour from Berlin by bus, and easy to explore in a short time on foot or by public transportation. Leipzig’s close proximity to Berlin, cultural and culinary offerings, and size make it an excellent day trip option. If you do decide to stay overnight, here is our guide to the best budget hostels in Leipzig. 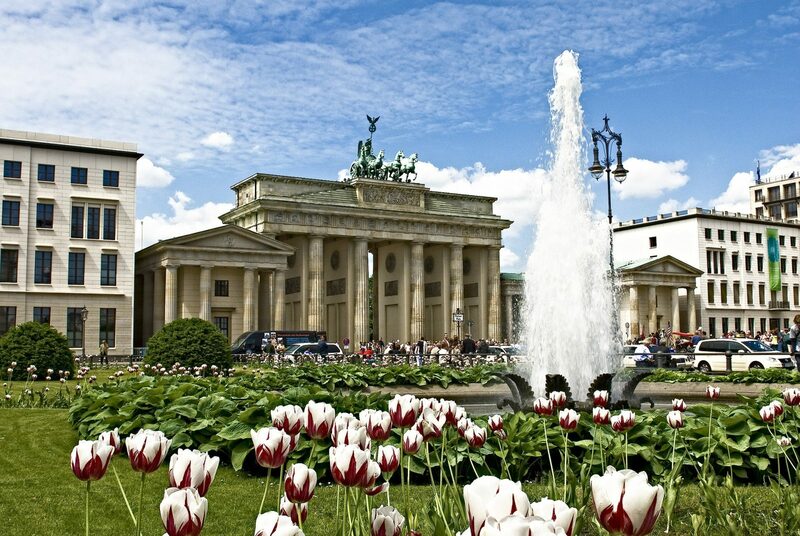 Berlin is without question one of Germany’s most vibrant and cultural cities, with an eclectic mix of new and old. 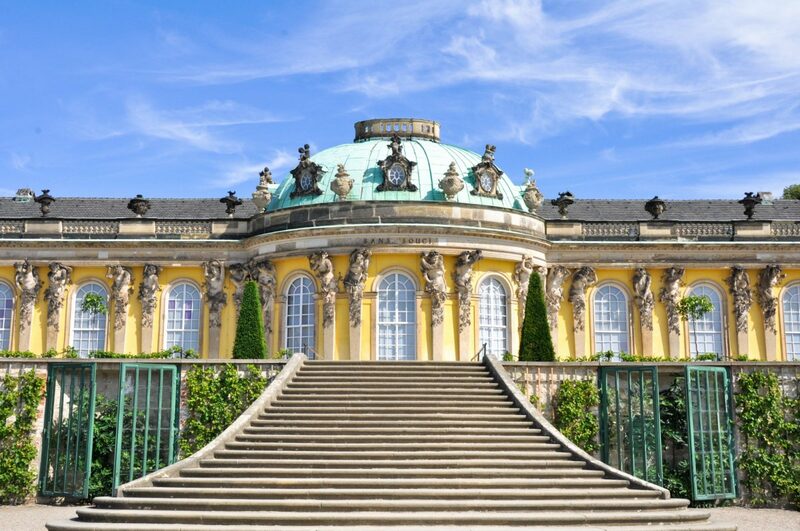 But if you require a break from its fast-paced energy, nearby Potsdam offers a chance to explore grand royal residences, historical sights and fairy-tale gardens, making for an adventurous day trip. Potsdam is an easy 45 minute train ride from Berlin’s Central Station either by S-Bahn or regional trains which are often slightly faster. Potsdam has excellent public transport connections, which makes exploring this area even easier. You can use municipal bus no. 695 as a type of hop-on-hop-off touring bus to see most of Potsdam or explore by your own steam on foot or by bicycle. 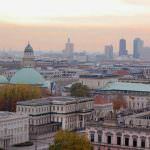 Potsdam is very extensive and one day trip will not be enough to explore all the sights. The entire complex with its palaces and park is inscribed as UNESCO World Heritage list. One of the top sights here is the colorful Schloss Sanssouci. Built by Friedrich the Great, this grand summer residence features a stunning interior and extensive park grounds complete with large fountains, beautiful terraced gardens and vineyards. 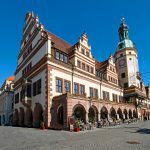 Other sites of interest include the nearby Orangery, Neues Palais (New Palace) with its lavishly decorated banqueting halls and the Charlottenhof Palace. 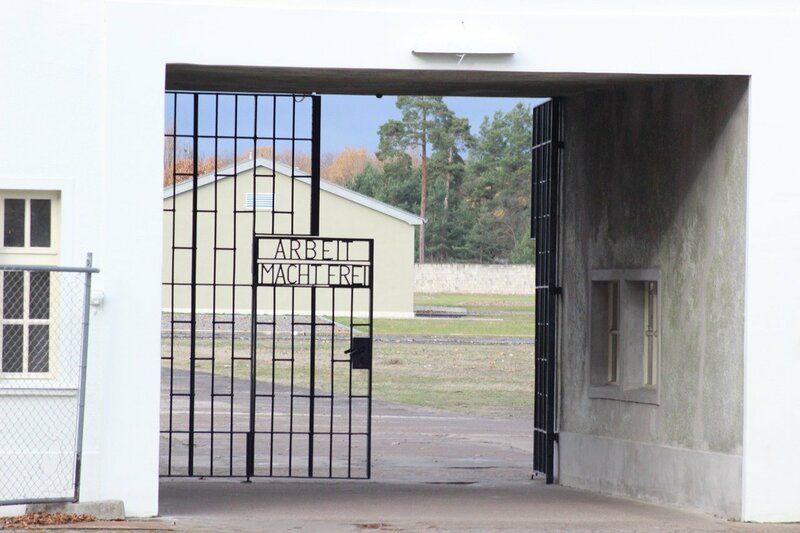 Visiting Berlin gives you a chance to visit the nearby Sachsenhausen Concentration Camp, located 35 km North of Berlin. Sachsenhausen was a concentration camp both under the Nazis and later the Soviets, and is a significant place in 20th Century history. Getting to Sachsenhausen is reasonably straightforward. The S1 and regional lines RE5 and RB12 all go to Oranienburg, and from the station it’s either a 2 km walk or a short bus ride to Sachsenhausen. More than 30,000 people died at Sachsenhausen, from exhaustion, execution, and from being part of medical experiments. The camp has now been turned into a museum, and visitors get the opportunity to see the cells, labour rooms, and gas chambers. Disclaimer – We have included a few handy little affiliate links in case any of our readers want to rent a car. We receive a small commission for any sales made, without any additional cost to you, our dear reader.